"During my 20 years in my practice and ergonomics I have evaluated many chairs. Most are difficult to adjust and were very expensive for most budgets. Our objective is to bring to the ergonomic chair market a reasonably priced, easy to adjust and ergonomically correct chair. After several years of evaluation and trials, we have come up with what I believe is the best ergonomic office chair at any price. Best of all it can be customized for all sizes and shapes of clients. 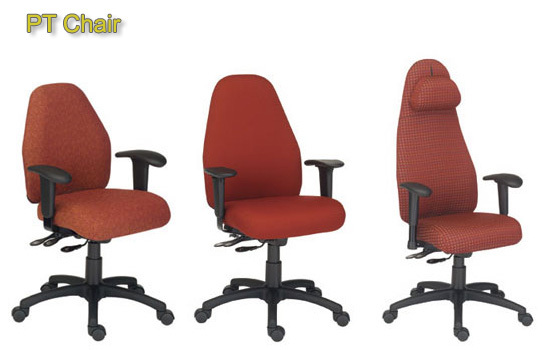 Be sure to visit our chair selector chart to find your perfect chair." - Dr. Jeffrey B. Tirsch, D.C.
A unique, patented suspension seat that frees the body from any contact with a rigid surface relieving pressure on the ischia, iliac and vertebrae. An ‘A’ shaped backrest which enables full freedom of shoulder and arm movement while constantly supporting your lumbar and upper back regions. Gel arm pads that adjust in height/width allowing your shoulders to relax.